Just as women go through menopause, which causes a decrease in hormones, so do men. Male Menopause, also called Andropause, is not nearly as dramatic as the female version. Some men, though, may actually go through a rather sudden change in testosterone levels that might correlate with the hormonal changes that women experience during menopause. However, most men experience a slower, more subtle hormone decline. 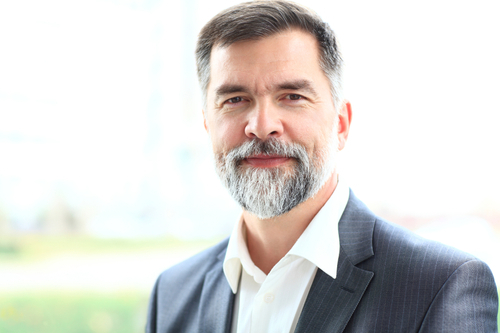 When hormones are replaced or restored to physiologic levels considered normal for younger males, older men may experience a dramatic reversal of many of the changes caused by aging. Natural Hormone Replacement Therapy in men involves the use of the hormone Testosterone. Please note that Natural Testosterone should not be confused with synthetic derivatives. Testosterone deficiency in males has been an unrecognized syndrome for many years, possibly because the blood levels of testosterone in men decrease over time. Andropause Replacement Therapy may also include the addition of Pregnenolone, DHEA (Dehydroepiandrosterone), Aromatase Inhibitors, Chrysin, Dihydrostestosterone, Zinc, Selenium, and other supplements. There are many symptoms of testosterone deficiency that are sometimes referred to as the “grumpy man syndrome”. Hazle Compounding will work together with you and your physician to decide which dosage form may be best suited to your needs. Transdermal- Testosterone is absorbed into the skin from creams and gels that can be applied to the body, no shaving is needed, and the cream/gel absorbs rapidly thru the skin. Sublingual (under the tounge) or Buccal- This is a good choice for rapid absorption. This includes sublingual drops, sublingual or buccal troches (gelatin or wax lozenges), which are absorbed through the oral mucosa. This unique dosage form can be flavored with over 100 flavors. Oral Capsules- the alternative dosage when either topical or sublingual cannot be used. In home saliva testing kits for male hormone levels are available. Contact Hazle Compounding for further information.